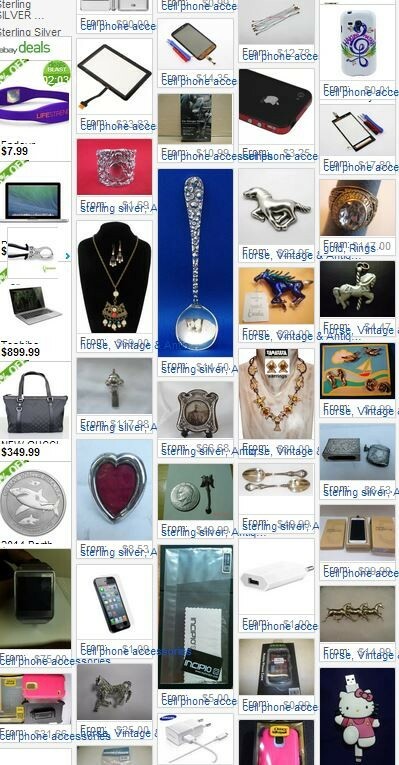 so, I love eBay, and often use it to check prices. On Sunday afternoon, I checked the price of a piece of farm equipment before stopping by Tractor Supply to see if it was available there. Yesterday afternoon, I receive a suggested post to share about eBay on Facebook. not sure if this is from Facebook or eBay. 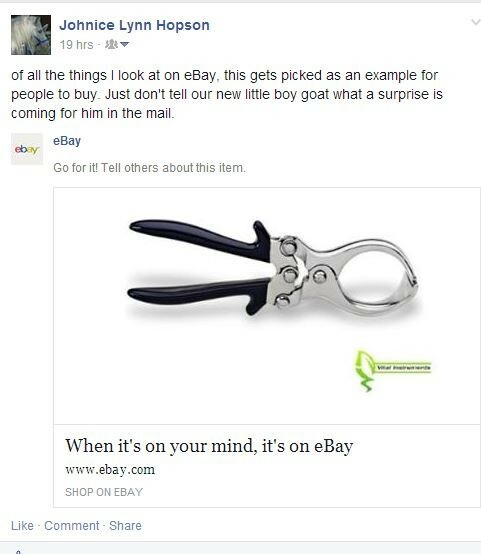 and this is what Facebook thought I should post "because I found it on eBay"
In not totally unrelated news, we did get a couple of new goats last weekend. Bonus points for anyone who knows what kind of farm equipment is made by Burdizzo.